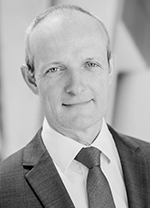 Holger Linkweiler is Managing Director of AviAlliance and AviAlliance Capital. Furthermore, he is Vice Chairman of the Board of Directors of Athens International Airport S.A., Member of the Supervisory Board at Flughafen Düsseldorf GmbH and Member of the Operating Board of Aerostar Airport Holdings, LLC (San Juan Airport). Within AviAlliance he oversees the operational departments Mergers & Acquisitions, Investments and Financing, Aviation, Technical Services as well as the Legal department. Furthermore, he heads the Asset Management of the airports in Athens and San Juan. As co-founder of the company Holger Linkweiler assumed responsibility for the company's business planning and financing activities. He also managed the acquisitions of the stakes in the airports in Sydney and Budapest and the founding of AviAlliance Capital. 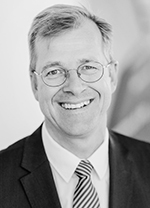 Gerhard Schroeder is Managing Director of AviAlliance. Beyond that he is Chairman of the Board of Directors of Budapest Airport Zrt., Vice Chairman of the Supervisory Boards of Flughafen Hamburg GmbH, Member of the Board of Directors of Athens International Airport S.A. and Member of the Supervisory Board of Flughafen Düsseldorf GmbH. Within AviAlliance he is in charge of the departments Commercial and Property Activities, Controlling and Accounting, Human Resources and Communications as well as the Asset Management of Budapest Airport, Düsseldorf Airport and Hamburg Airport. From 2007 to 2011, Schroeder was CFO and Deputy CEO at Budapest Airport. During the previous ten years he held various management positions, for instance as Chairman of Airport Strategic Consultants at Sydney Airport. As project manager he was responsible for the acquisition of the stakes in Hamburg Airport and oversaw the integration of the shareholdings Hamburg Airport and Düsseldorf Airport into the company's airport portfolio.